I started this blog when I was rediagnosed with breast cancer and working as the director for Scotland of Breakthrough Breast Cancer. A tricky combination that made life challenging and my blog helped me make sense of it all. A few years on, I blog about lots of things to do with healthcare, leadership sometimes even politics but I rarely blog about asthma. But it is probably the thing that has sapped my wellbeing much of my life. Of course often I don't notice it, think of it even, as my symptoms are well controlled with a combination of treatments and the avoidance of triggers. Food can be my downfall and I know to avoid wheat, apples, chocolate (not fair!) but sometimes I get caught out. Mostly it's a virus that pushes me down the slippery slope. I have steroids at home to take if I get acute symptoms quickly and usually wait too long to take them. I have a cough that shakes the rafters at times and I want to wear a sign that says " I have never smoked" because I notice the look on people's faces. Mostly, like this weekend, I feel dog tired when its bad. Do I check my peak flow- yes occasionally but I know when I feel my necklace is too heavy that things aren't good. When I cough no matter what I eat, that I need to take more treatment. When I'm worried about going out in the cold especially if its windy and I know a walk on the beach with the dog is unthinkable, I know then I need to take more of my inhalers. Like many people with long term conditions, I do my best to get on with it. I try to hide its worst impact and I self manage the avoidance of triggers and the side effects of treatments. I balance taking the blue inhaler with the risk of the shakes that make you look like you have had a night on the tiles. I balance taking steroids with the knowledge they will affect my sleep and that the combination of too many inhalers and steroids will give me a horrible headache. Like many people with long term conditions I don't talk about it, I even feel guilty for having to give in to it. Even laughter makes me wheeze. I'm not seeking your sympathy ( honestly!) but as someone who is a health activist who works frequently with people who struggle with many hidden conditions I thought rather than blog about cancer today I would speak some of the truths of asthma instead. I'm feeling resentful of having to give my weekend up to the effects of asthma. I'm trying to stop my thoughts of how could I have thought of a political career when I find myself felled like this at times. After all if I had a more obvious disability I would surely not want to exclude myself or others from public office? And I know now to not make career decisions when I feel like this as it will pass. I need to remind myself having asthma is not a weakness, it's a condition I do my best to control. So this blog is for the huge number of us who live with the hidden conditions and do our best to live the life we want to. Let's give ourselves a pat on the back.....because frankly sometimes it's just a long hard slog. 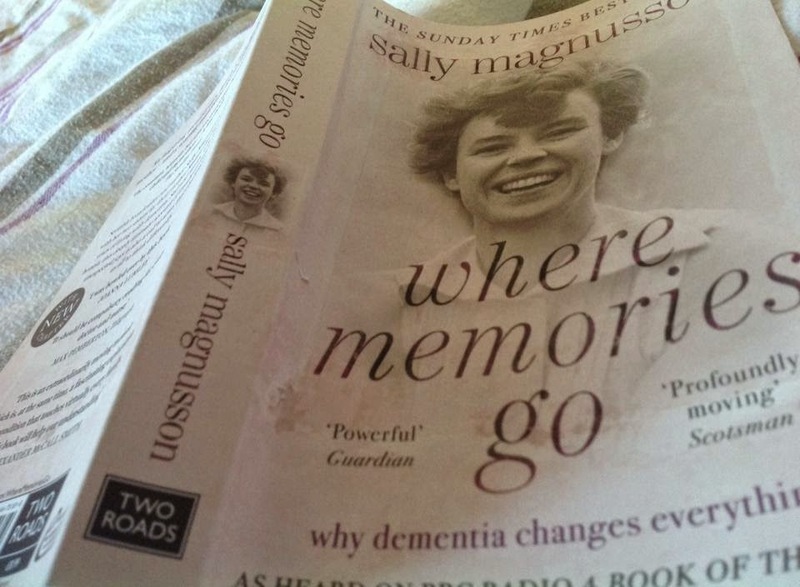 But the good news is this time means I'm reading Sally Magnusson's book Where Memories Go and feeling in awe of her talent and admiration for her courageous commitment to improving our understanding of dementia. Words can change understanding and attitudes, especially those written with such eloquence and compassion. 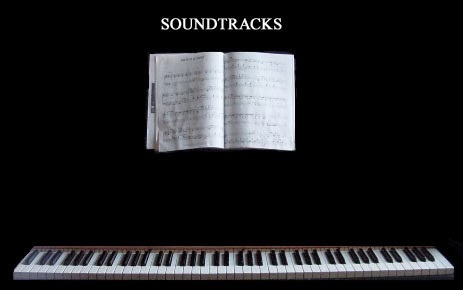 I have found myself thinking about soundtracks of late. In the WEL we talk of changing our personal soundtracks. You know the ones?- that say we aren't well enough,or maybe good enough, strong enough or similar and they can stifle our recovery and our achievements even. Maybe your soundtrack is downbeat at times, sad too or even jarring and discordant but essentially you feel it doesn't enhance your life. But here's the thing, you can change it. And what's truly wonderful is when you change the soundtrack you change how you experience life. We aren't born with these soundtracks but life starts to orchestrate them for us. Often we think we are stuck with them but the reality is we aren't. It's a liberating thought, all we need to do is find a new soundtrack and focus on that one and create the right conditions for it too. Still the mind, be mindful rather than mind full and practice the new music. It takes effort but it does help. Much of my work of course is with organisations and groups within them not just individuals and I have been reflecting on organisational soundtracks too. Is there one theme, one orchestra or are the strings not playing, the horn section in a different key, the brass section too loud? Is there a discordant soundtrack creating the stress and tension that gets in the way of our purpose? You get the analogy I'm sure. What creates the music though? It's the space between the notes, the relationship to each other that creates the sound; it's how they relate to each other that matters, not each one on their own. So maybe the biggest learning is that we transform organisations not in isolation, we do it through building relationships and enabling a soundtrack that is dynamic and uplifting. It’s the long game, no quick fixes here but it’s the game of sustainable change nonetheless. It was my birthday this week. A few years ago I discovered its world cancer day on my birthday. Its been a particular source of grievance for me! It feels in the way of my birthday somehow but this year I decided to change that soundtrack. Because what two cancer diagnoses teach you is that the only thing worse than getting older, is not getting the chance to. When I was diagnosed in my thirties I never thought I would get to this age and I’m so grateful to have been able to celebrate with family around me. I also heard that day that I hadn’t been successful in my campaign to be selected to stand as an MP in Edinburgh. And that felt ok too. I had lovely feedback from people, was true to myself and my values, met great people along the way and learned loads. I had pushed myself out of my comfort zone, which I regularly encourage others to do and maybe I didn’t succeed, but neither did I fail. So my soundtrack just now is a joyful one full of life’s wide experience with a rich tapestry of a much loved family and great friendships and I intend to play it as long as I can. 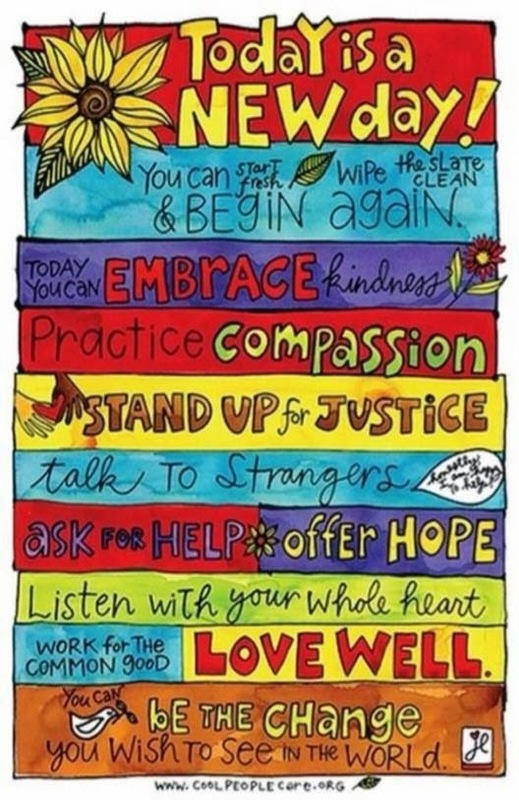 And to live up to this message too....feel free to join in the chorus?